Go ahead …Make my day! We all know that famous line from Dirty Harry. Well that’s what the FAA is saying to Realtors with their new regulations concerning drones. It has been a while coming, those anxiously awaited regulations that allow us all the freedom we want in using these new toys to market our listings. We want that edge on the competition. Look at how cool this looks. I can get Jimmy down the street to do it. He has a drone and needs a few bucks. We can think of all kinds of justification but don’t normally spend the time in researching the rules and regulations the government forces on us in their attempt to control our lives and make us march like sheep to their tune. (well enough of my gov rant). So let me help you figure this out. 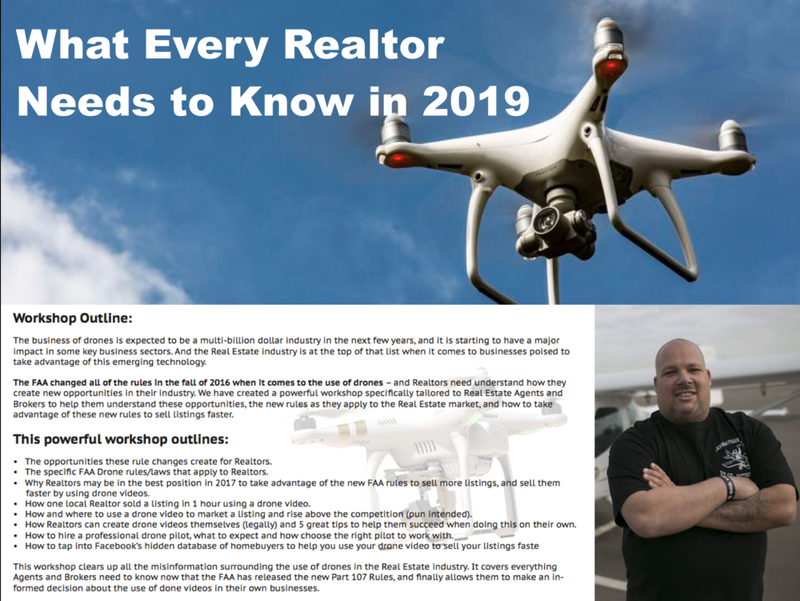 Photography For Real Estate » Realtors Have Liability for Hiring an Unlicensed Drone Operator…..
Let me put that into plain words for you. Every time you take “Jimmy” (the local high school kid) with you to shoot some “commercial” (that’s you) drone shots, he is liable for $1,000 in fines and you are liable for $12,100 in fines. Then to make matters worse you are presenting them with the proof just by publishing those images on the MLS. All it takes my friends is a competitor to turn you in. We all know that never happens. None of you ever had anonymous complaints sent to the Realtor Board about some advertisement or web site that unknowingly bent the rules just a little. That never happens does it? Did you know that if you fly one of these things within 5 miles of the perimeter of an airport you must call the control tower and provide them with all the information (by the way be prepared to be licensed when you talk to them)? Did you know Hartwood acres is within 5 miles of Pittsburgh North East Airport? Did you know the intersection of Route 8 and 228 is within 5 miles of Pittsburgh Butler Regional Airport? Does “Jimmy” know that? There are licensed drone operators that are insured and provide reasonable services. Use them when needed. Use them when it makes sense. Research them. Hire only Legal, Safe, Insured, Licensed operators.